In a stroke of good fortune, Elizabeth's order from Barnes and Noble (with a gift card she received for her birthday) arrived with the book, How to Find Flower Fairies. Kind of fitting for St. Patrick's Day, I thought. 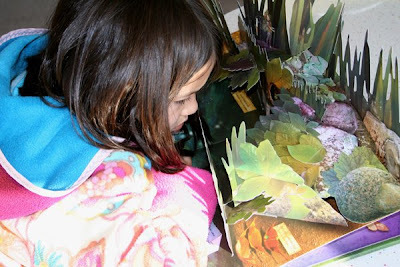 Elizabeth spent at least a half-hour as soon as she arrived home from school immersed in this wonderful pop-up book. The beautiful script, Medieval-style art and many bits of ephemera were right up Elizabeth's alley. 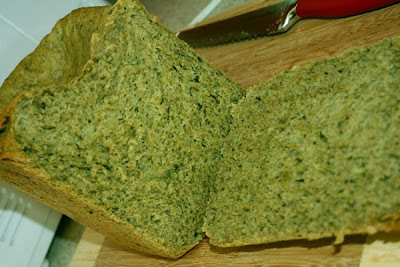 So here it is, the green bread. Well, the best I could do anyway without food coloring. I used this recipe, but substituted the regular flour for whole wheat pastry flour which probably lessened the green. Alas...the trouble with using healthy ingredients. I also blended the spinach with the water to try to distribute it better. On the upside, what it lacked in green, it made up for with taste. Quite delicious! Before bed, in a continuation of the St. Paddy's Day spirit, we read Too Many Leprechauns, which stars an Irishman named Finn O' Finnegan who lives in the city of Dingle. A little ironically, in late March of last year, we were in Ireland staying with dear friends and visited the city of Dingle one day. 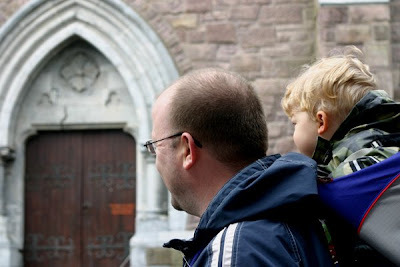 The following photo is our Finn (who is really named Finnegan), and Paul, in the city of Dingle. I realized when I was looking through my photos to post this that I had no good photos of Finn in Dingle. Drat! But he was there! 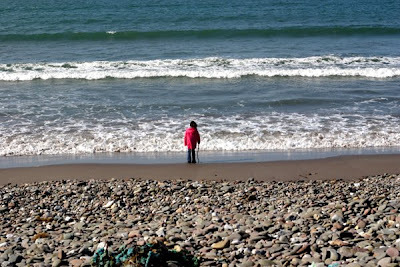 One last photo from Ireland: Elizabeth at a beach just outside Dingle. Elizabeth's book is outstanding. Good choice. I love Dingle. We went to Ireland for our honeymoon and hope to go back someday. It was the best food, the friendliest people, the most amazing scenery-- I'm just having a ball remembering. Thanks! I just saw your comment-- who wrote Owl Babies? We are in need of some new books around here! Cracking up over the green bread! 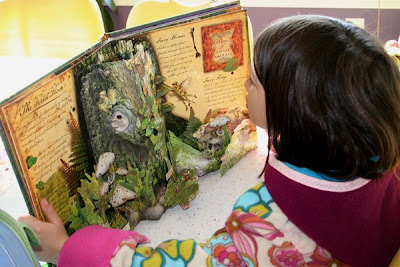 The books you mentioned look and sound great, I'm thrilled that the beautiful art of pop-up books are being published again. So, envious that you have been to Ireland. Lisa - The beach in the picture of Elizabeth is where she found the bone I mentioned in your "Take Only Pictures..." post. I just saw your comment on my felt ball problem. THANK YOU!! I will have to try it. my daughter would love that book! thanks for sharing. I'd like to take a look at both of those books you mentioned...they both sound great. That bread looks like too much! That book is amazing-your St. Pat's celebration looks like it was oodles of fun! lovin' the green bread. i think we will give this a try next year.